We continue with the wallpapers in which the main characters are enigmatic and delicate butterflies accompanied by amazing scenery and perfect elements to satisfy all those people who like nature and animals, in particular, these insects. 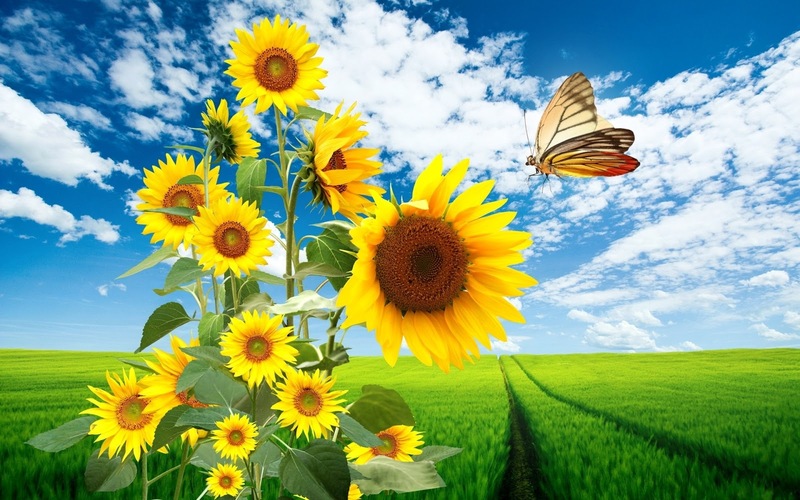 If you like colors, life and nature, here we have a wallpaper with a blue sky, green grass, sunflowers and a beautiful butterfly flying toward them. 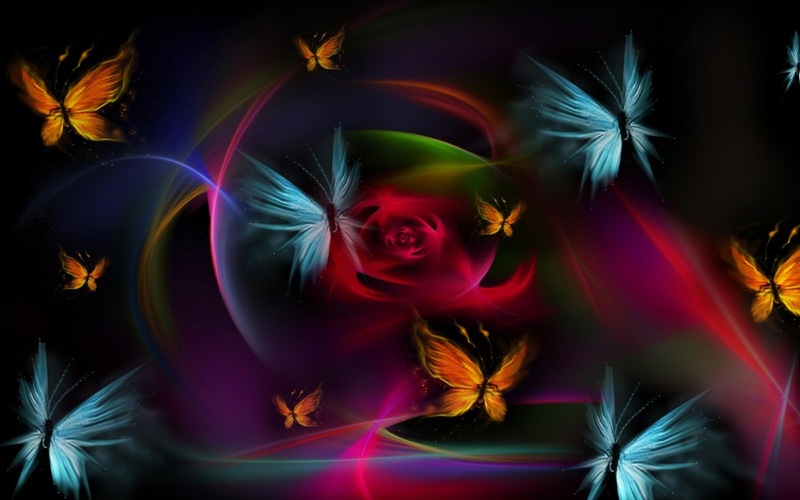 An original wallpaper with stylized multicolored butterflies on a dark background with colored lines. In this wallpaper we have a turquoise and black butterfly on yellow and red flowers, all with a green background. 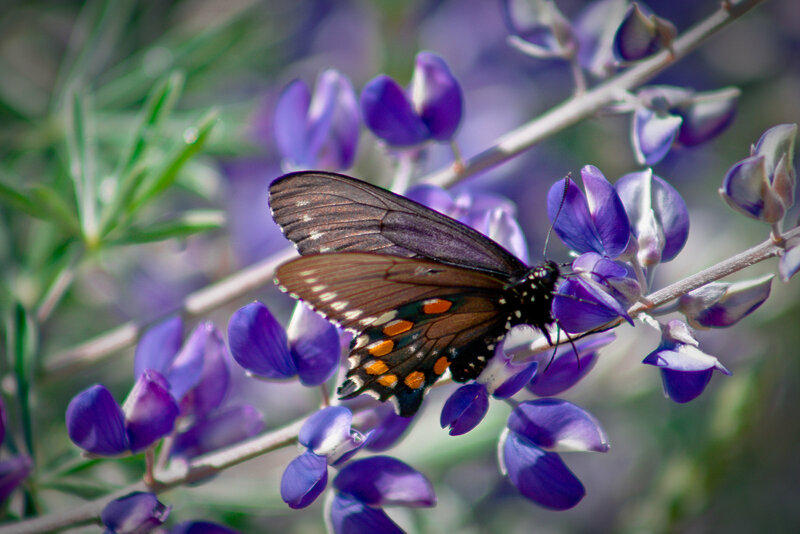 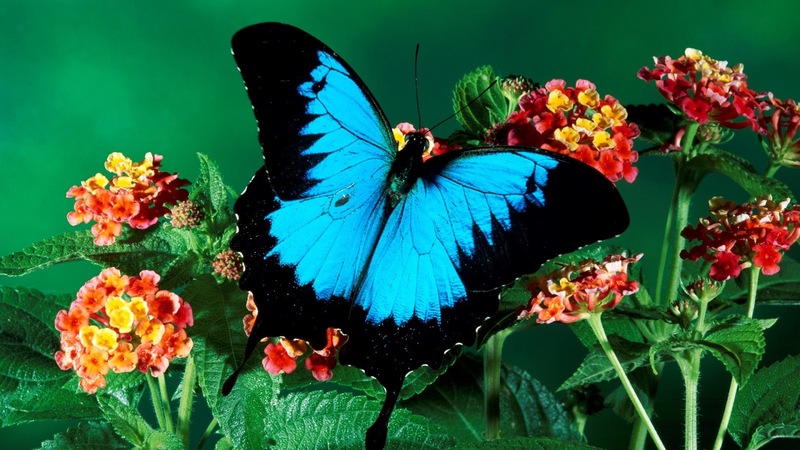 A beautiful butterfly with sky blue, orange and gray colors, on a beautiful purple flower. 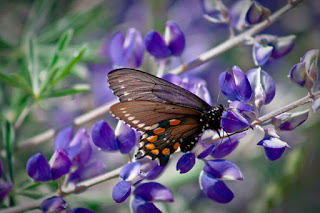 A wallpaper with an orange and black butterfly on a long purple flower. 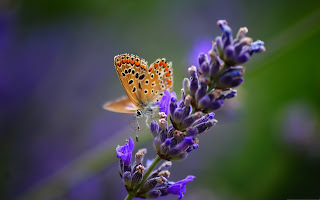 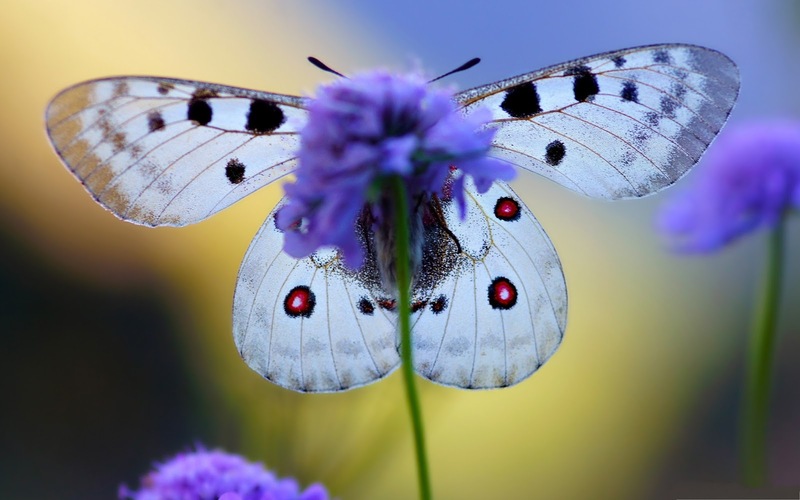 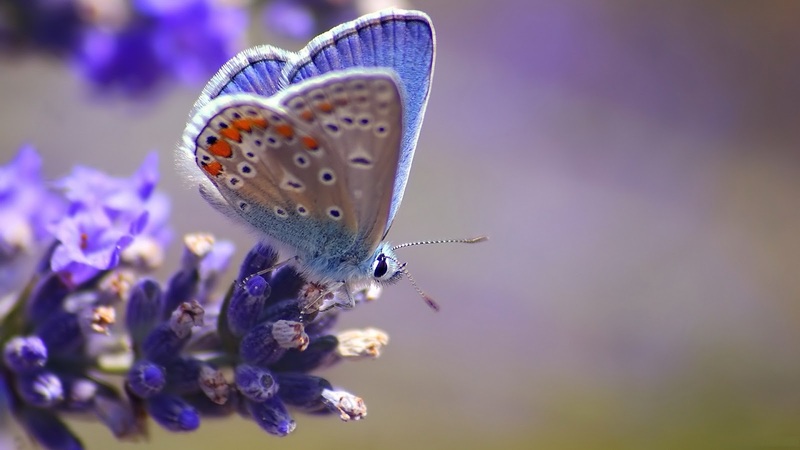 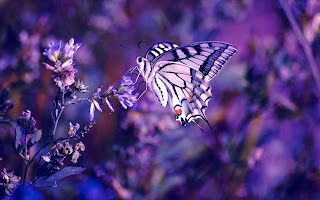 A particular wallpaper with a golden background and a white butterfly on a purple flower. 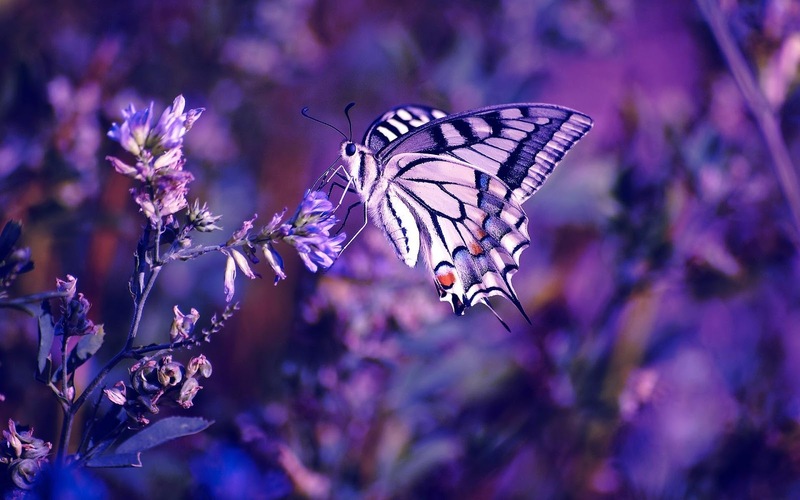 An interesting wallpaper with a purple background and a butterfly with colors that blend into it. 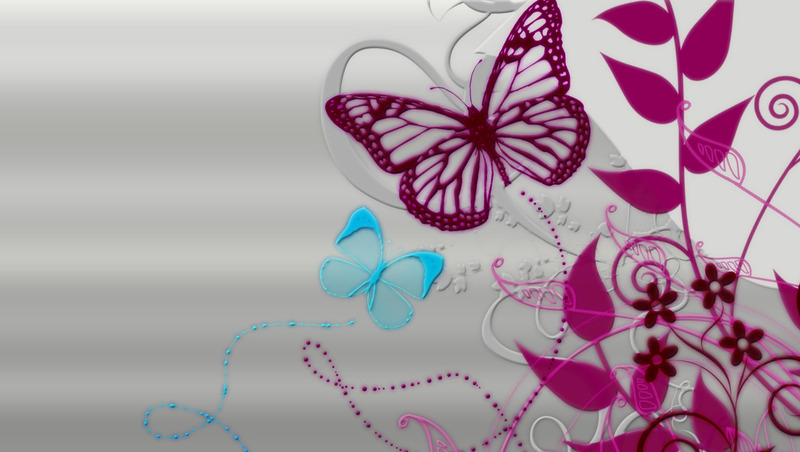 Another wallpaper with an orange and black butterfly on an exotic flower. 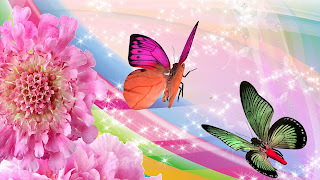 A wallpaper with a colorful background, two butterflies flying over a rainbow and a pink flower on the side. A wallpaper with a gray background with butterflies and purple flowers.